wires, switches, fuses, connectors etc. There is a sharp probe on the tester and a crocodile clip on the end of a 1mtr long lead. 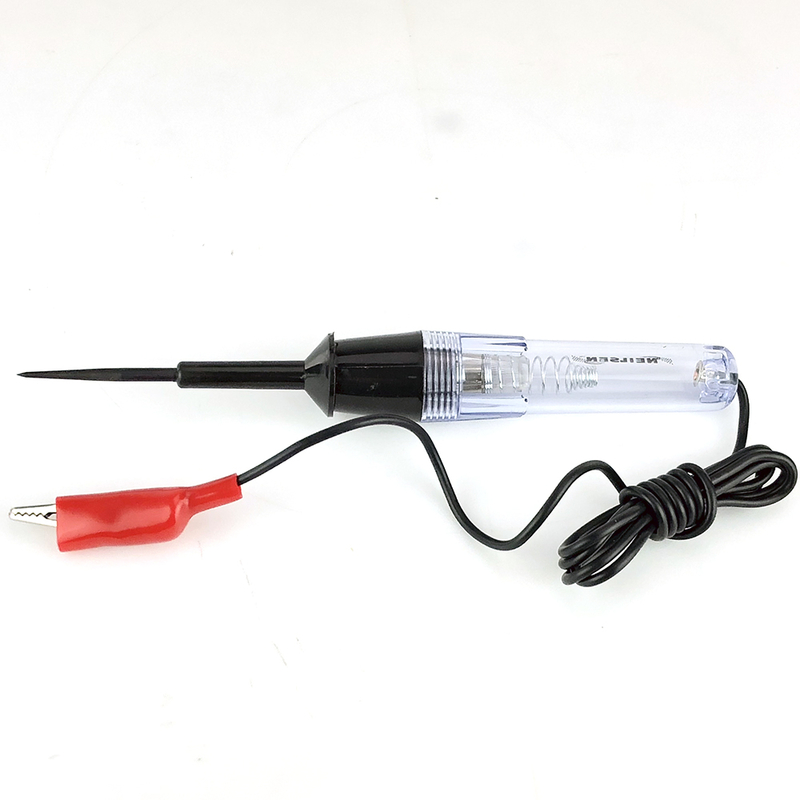 It has a 1.5 volt bulb in the handle which also accepts one ‘AA’ battery. the bulb will glow when the switch is in the ‘ON’ position and go out in the ‘OFF’ position.